Let me start of by saying the June Glambox is one of the BEST this year. Aptly named Arabian Nights, the beauty box arrived in the month of Ramadan filled with several things I fell in love with. Many thanks to Glambox for creating these special themed boxes and bringing a smile to a lot of faces, including mine. Lipstuck Extreme Wear Lip Lacquer by Wojooh: Those who know me are aware that I am well on my way to attaining the Matte Lipstick Princess title. Because I love and own a lot more mattes than any other kind of lipstick. They are absolutely gorgeous and this particular shade by Wojooh is liquid matte known as Oud Rose. The lipstick does not have a strong fragrance (in fact, I don't remember getting a whiff of any) and this rosy shade will suit lighter complexions. It looks darker through the tube however, is a little of the pastel pink rose side. It does not crack neither does it dry out the lips. Win, win, win! This has to be one of my best discoveries and I can't wait to pay Wojooh a visit and buy more matte lipsticks (doesn't matter if I have similar colors, I have to have it all). Sally Hansen Complete Salon Manicure: I'm usually seen wearing dark colored polish on my nails. They are my favorite but I do dabble in pastels once in a while. The polish by Sally Hansen goes on smooth as silk and stays put without chipping for max 4-5 days (at least on my nails it does). Yves Rocher Comme Une Evidence (Pour Femme): I prefer woody/oriental fragrances, and this Yves Rocher gem is truly unique. A floral woody fragrance, it boasts of violet leaf, oakmoss and musk among other ingredients. It is quite pleasant and I instantly loved it. Jergens Oud Dry Skin Moisturizer: Didn't I tell you this Glambox is the best so far? I cannot express how much I love oud; the Jergens oud based body moisturizer checks off all the boxes when it comes to hydration and fragrance. It isn't overwhelming and oud lovers will appreciate it. By no means can you expect authentic oud to be part of such products. What you can expect is the essence of oud and I'm quite happy with it. Tatu Bijoux: I had attended an event a few months ago and the lady there insisted I try a temporary tat. I was waiting in line to get a henna design on my hand when I reluctantly gave in. And I loved the body art! Gold and silver temporary tattoos that appear as second skin are all the rage right now and some of them almost look like real jewelry. I received so many compliments on the tattoo I was sporting. I can't wait to put this on (just waiting for a special occasion). 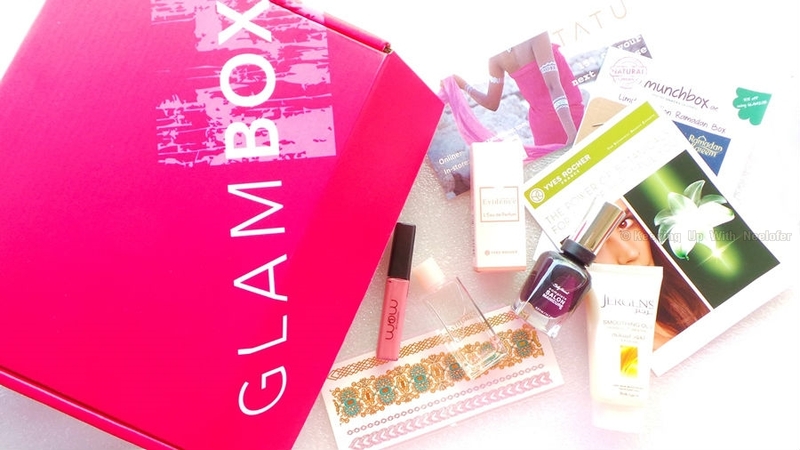 As part of the Glambox, I received a voucher that will entitle me to receive 15% off my next purchase. Woohoo! 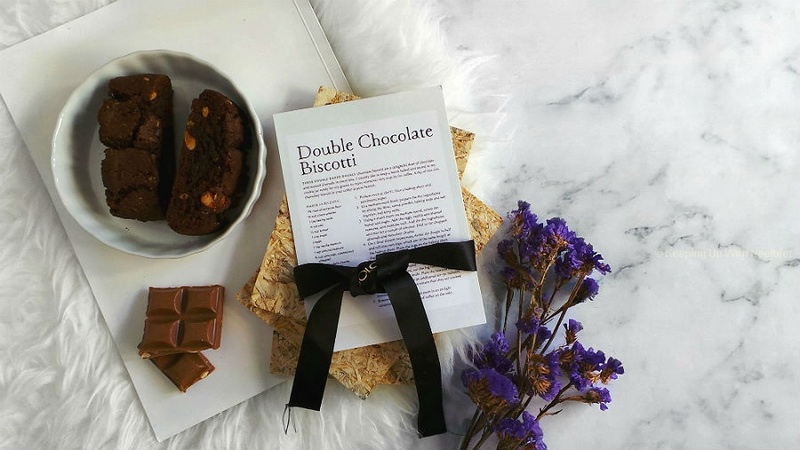 Munchbox voucher: We all experience those pesky afternoon cravings and while we know reaching out for junk food is detrimental to our health, we do it anyway. Enter Munchbox, environmentally friendly 6 mini boxes filled with salted nuts, raisins, flavored cashews, cranberries, dark chocolates, spicy corn kernels and more. The aim is to avoid junk food and chomp on these while nourishing the body with essential vitamins and nutrients. I had my first Munchbox last year and I remember eating the spicy corn kernels first because they tasted so good! This time around with a 50% discount, I didn't waste any time. I customized my boxes (isn't that rad?) and ate the one with the corn kernels first. The box arrives at your doorstep in 24 hours. I recommend you try Edible Eden, Cowboy Crunch, Vitamix and Posh Spice. Did I mention how much I loved the Arabian Nights Glambox? I can't wait for the next one- I hope it beats this one! Subscribe to receive your monthly box of beauty goodies- get 25% off your subscription when you use the code: GBNEELOFER. Let me know what you've discovered!